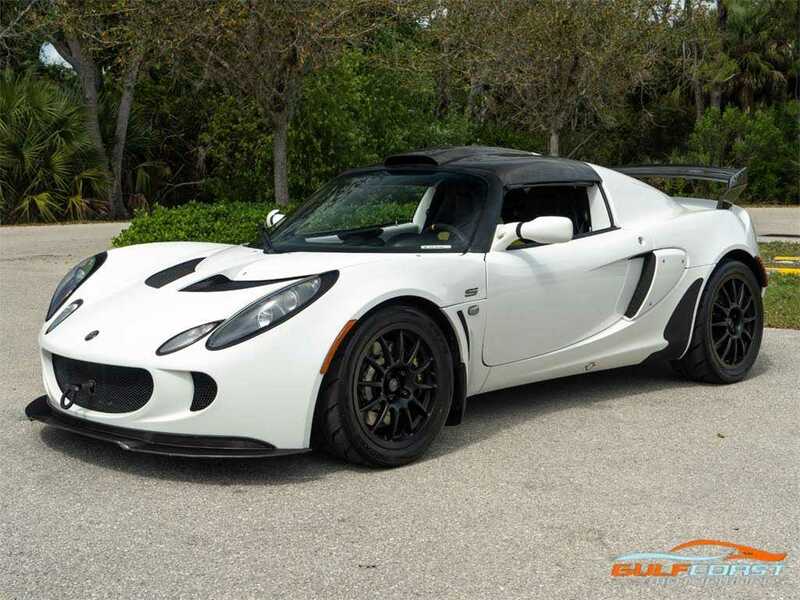 2007 Lotus Exige S. Aspen White exterior with Black leather interior. Features include: 220 horsepower 1.8L I4 engine,​ 6 speed manual transmission,​ Satin Black alloy wheels,​ Roof scoop,​ Rear wing,​ Aluminum fuel door,​ Removable top,​ Center exit exhaust,​ Leather racing seats,​ Push button start,​ Power windows,​ Power door locks,​ Air conditioning,​ Blaupunkt stereo. Priced at only $47,​995.00. Financing and leasing available. We ship worldwide. 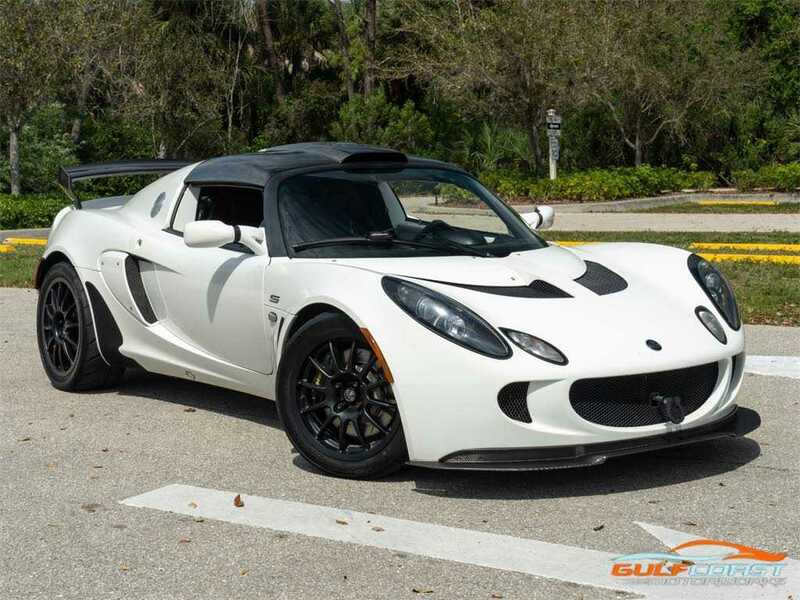 We pay top dollar for lightly used sports cars,​ Call or text Carlos today at 239-784-6447 or email us at sales@gcmworks.com.Fees and Taxes: $599.00 Doc Fee on all Purchases. Out of state buyers are responsible for all state,​ county,​ city taxes and fees,​ as well as title/registration fees in the state that the vehicle will be registered. Their service department is excellent. They have worked on my 1934 Ford Street Rod, my 1951Mercury custom and my CTS-V wagon. They are very knowledgable and their prices are fair. I bought one car from them and they sold two of my cars for me. They have lots of very cool inventory and they really know their products. 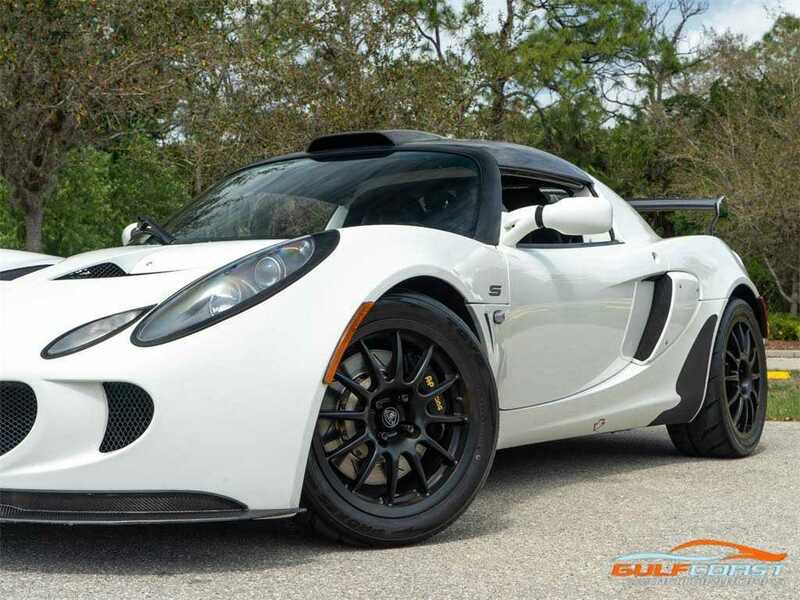 My 2d season with the '07 (1st year) Exige S. This is a pure race car on or off the track and is built around acceleration, handling and braking - it is arguably the best handling car on the road. This is why a strong driver who knows the car's capabilities can win over other high end cars both American and European. It must be understood that to arrive at the final equation of this car's performance there entailed certain cons built-in. But you must maximize the car's capabilities to overcome its modest top-end when competing with other racers. And get a Valentine 1 or be prepared to get multiple tickets or -- be prepared to ditch the 5.0 as the ol' chap found out last night - not rec. This is it. THE car I've wanted for so many years. I've had everything from a '68 Shelby GT350 to a '66 Sunbeam Tiger, even a pair of '02 Miata SEs, but this car shines above them all. The control you have is beyond anything else on the street. It's not the fastest or quickest car, but it feels like it is. It even looks fast sitting still. Everyone wants to race, talk about, touch or drive it and lots of people take pictures of it. Even kids love it. It's one of those cars that kids of all ages get to "drive" in video games, and when they see it on the street it's almost as if you're looking at a Matchbox car. 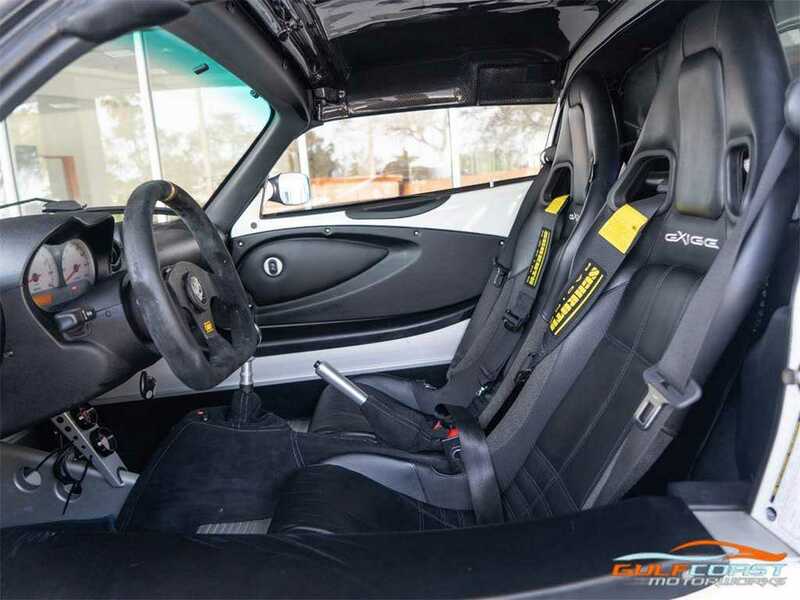 It has race-car looks but you can drive it on the street... AND the track! 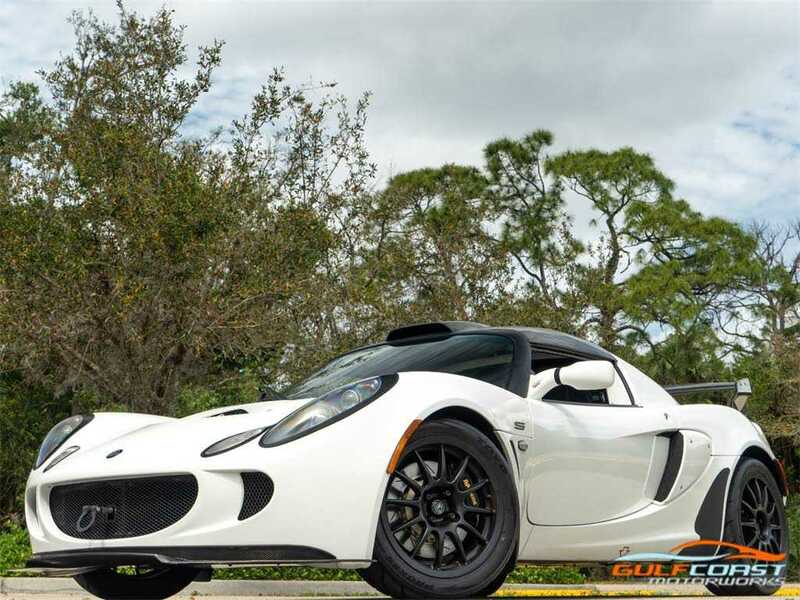 The 2007 Lotus Exige S is very quick and handles like its on rails. The only other car I want is a Pagani Zonda. My comments: do NOT buy this car if you want luxury. There is hardly anything inside except bare aluminum. Buy a Cayman S instead. DO buy this car if you are a real enthusiast and intend to take it to the race track on the weekends. This is a race car built by a company with Formula One heritage.